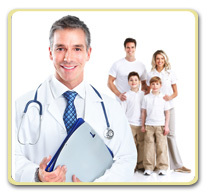 Over time, family doctors get to know patients very well. They know your chronic medical problems and how that affects anything new that comes up. They know how you have reacted to medications in the past. They know how stoic you are, so that when you come in with a complaint, they might take it more seriously than a doctor who doesn’t know you. Or maybe they get to know that you are a little anxious about your health, so they don’t blow something out of proportion, but provide more reassurance when that is necessary. They also can watch for changes in your condition over time, and might pick up on a change in your health quicker than someone who doesn’t know you well. Most importantly, there is evidence that family doctors offer your family better overall health, and isn’t that what we all want for our family?